Elizabeth Tritthart is a weaver who works on a loom the size of a Ford 150 King Cab. 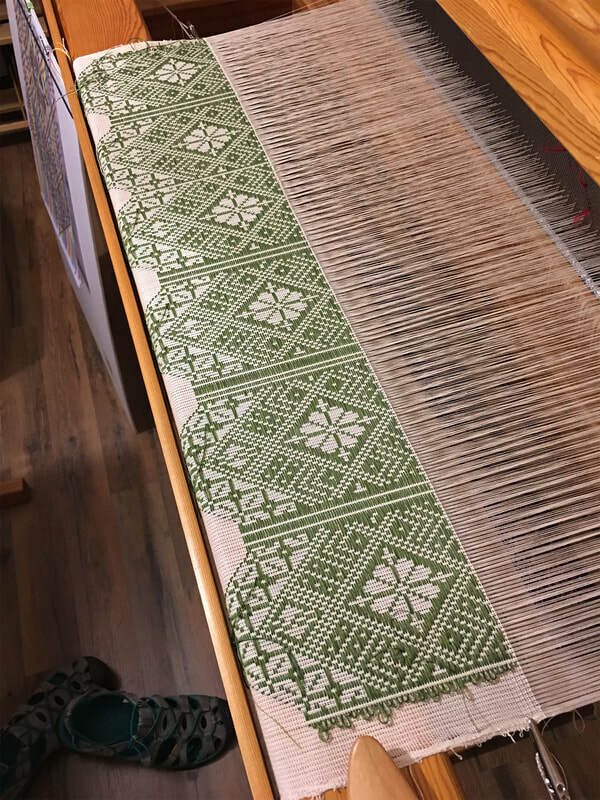 While living in a world where chaos abounds, she works slowly and steadily to bring thousands of threads into a specific order to create Fine Art imagery. 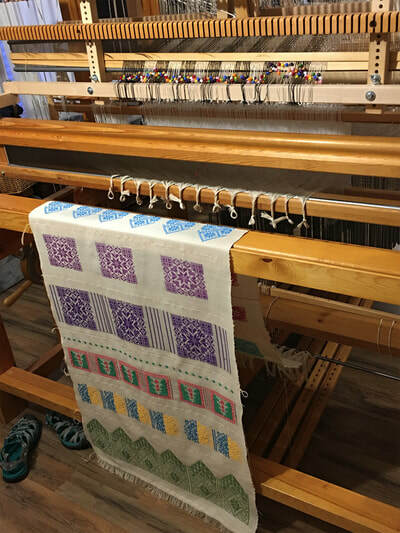 Inspiration for designs occurs as she researches ancient patterns from weavers around the world. Her design work involves transporting these designs and motifs into a contemporary artist's conversation. The end result are pieces which have a timeless and delicate feel to them. 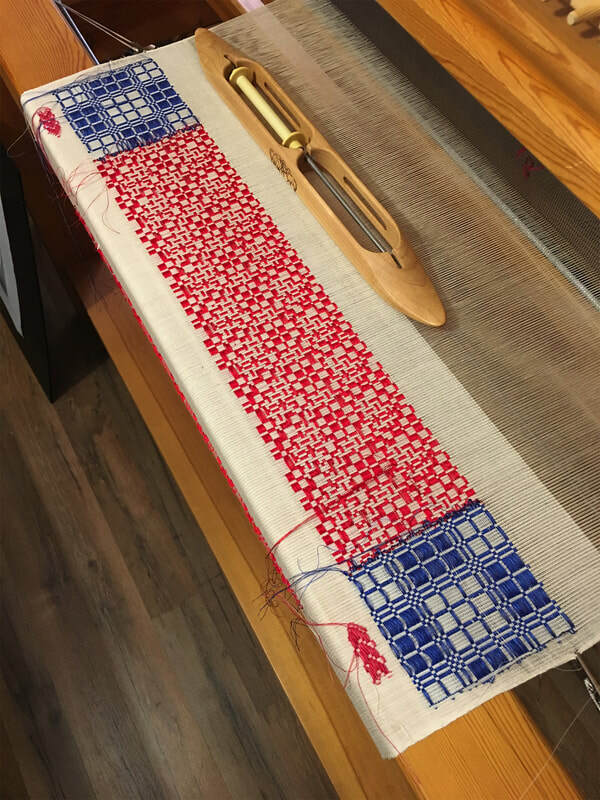 ​Elizabeth has chosen is called a "long weave" in which patterns are woven slowly over the course of several sittings.